Srinagar: Metro Man E Sreedharan, the Principal Adviser to the J&K Government for the Mass Rapid Transit System (MRTS) project in the state, on Friday visited the proposed MRTS corridors for Srinagar city. 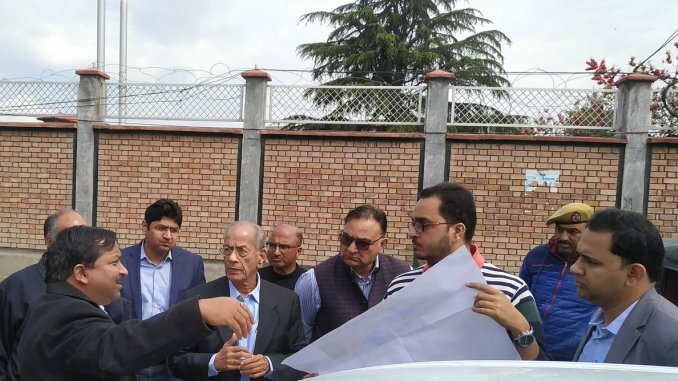 Sreedharan along with Dheeraj Gupta, Principal Secretary, housing and urban development department, and Raghav Langer, Chief Executive Officer, J&K Economic Reconstruction Agency, conducted an on-the-spot inspection of various locations in the city, according to an official statement. The team had inspected various locations in Srinagar including- Shalteng Batmaloo, Jehangir Chowk, Amirakadal, Sonwar, Nowhatta, Sher-i-Kashmir Institute of Medical Sciences and Ellahi Bagh. Sreedharan was informed about the North-South and East-West corridors proposed by the RITES Limited, a PSU under Ministry of Railways, in its draft DPR (Detailed Project Report). The halting points would be decided keeping in view the high-density traffic areas, key business and administrative areas, where the daily influx of the commuters is huge, he was also informed. The RITES representatives gave on-the-spot presentation of the draft DPR prepared by it for the Srinagar MRTS project. The statement said, Sreedharan suggested some modifications during the site visit as per the ground conditions.